The Security tab is where you define which roles get to do what with the records created with this form at each workflow stage. Can they just read the record, or edit it, delete it, or read most of it and just edit certain fields, …? 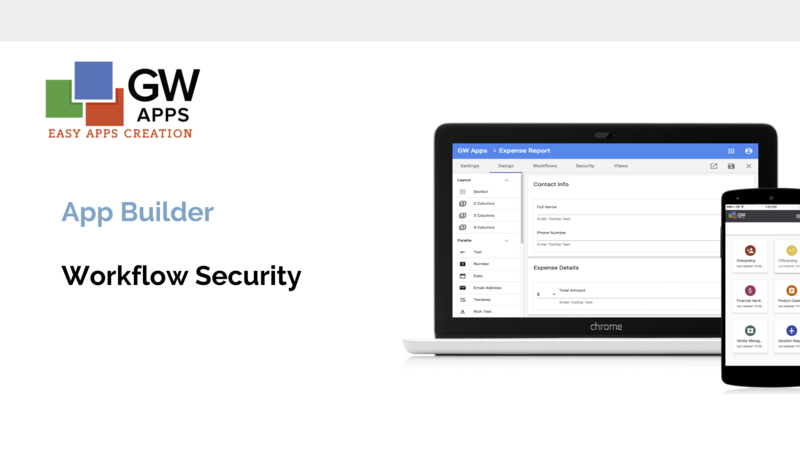 The first step in defining workflow security is to set which roles can access the form’s records at each stage in the workflow and what access rights they have. The workflow stages are defined on the Workflow tab, and they are simply displayed here. If you need to add, remove, edit or reorder the stages, please make those changes on the Workflow tab first. View Only – Can see the record but can’t make any updates to the record at this stage. Edit Only – Can see and edit the record but not delete the record at this stage. Edit & Delete – Can see, edit and delete the record at this stage. 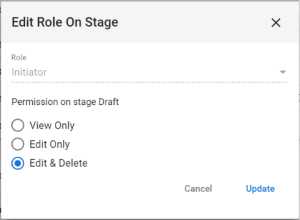 Add Role to Stage – Clicking on this icon will display a dialog to add a role to this stage and set the permissions role has in this stage. Read Only – Shows that this role has only read ability for this stage. People with this role will be able to see the record, but not edit it. Edit Only – Shows that this role has edit ability for this stage. People with this role will be able to see and edit the record, but not delete it. Edit & Delete – Shows that this role has edit and delete ability for this stage. People with this role will be able to see, edit and delete the record. Workflow buttons – Any workflow buttons, defined on the prior Workflows tab, will display above the form. Clicking on one of them will make the button show in dark grey instead of light blue, and the button will not display to the selected role at the current stage. Clicking on the button again will return it to light blue and make it display once more. 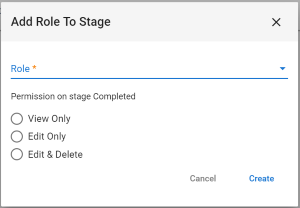 Remove stage role – Removes the selected role from the current stage. User can save – Sets whether the Save button will be available to the selected role at this workflow stage. This option only displays if the role has Edit or Edit & Delete rights for this stage. The Security tab also displays a representation of the form, and allows the designer to set Hidden, Read Only and Edit permissions for each section and field, or other form control, for each role/stage combination. Hidden – This component will not be visible to the selected role at this workflow stage. 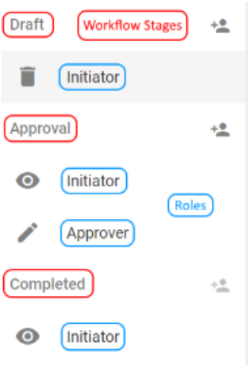 Read Only – This component will be visible but not editable for the selected role at this workflow stage. Edit – This component will be editable for the selected role at this workflow stage.